Join us in ‘giving back’ this holiday season!!! Let’s get in the giving spirit to collected much needed supplies for local girls’ education through Girls, Inc.! Bring in the items listed below this night at the taphouse and have a pint! 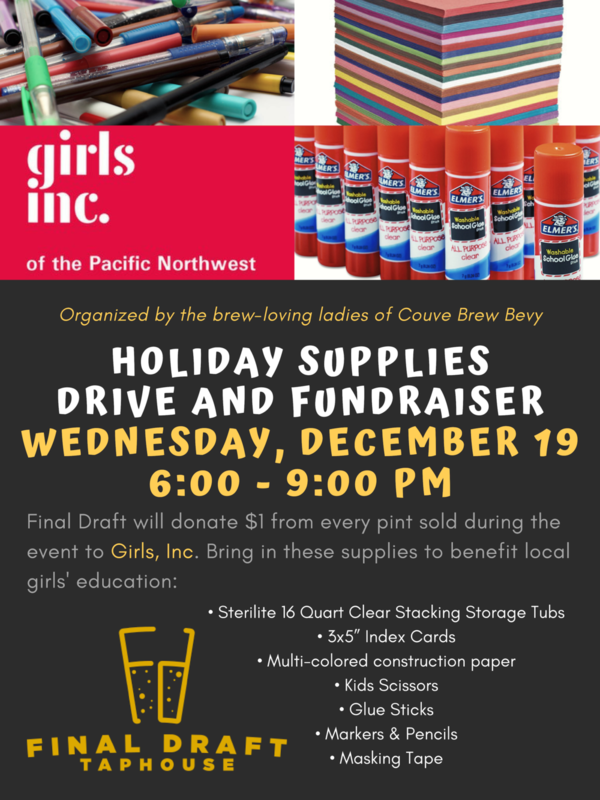 We will collect all the materials and deliver them to Girls, Inc. Plus, we will donate $1 per beer sold during the event to Girls Inc!